Sri K.S.Srinivasa Raju, Joint Executive Officer, TTD Tml received a RENAULT FLUENCE Car from Sri Bhanu Prakash Reddy on behalf of Renault Company in front of Sri Vari Temple, Tirumala on Sunday morning. 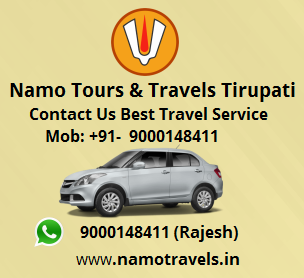 The approx cost of the vehicle is Rs.15 Lakhs. The TTD Executive officer Sri LV Subramanyam on Tuesday reviewed the elaborate arrangements with TTD and district officials on the scheduled visit of President of India Her Excellency Pratibha Devisingh Patil to the temple town of Tirumala on July 7. In this connection he inspected the ongoing works at the new Annadanam complex along with district collector Sri Solomon Arogyaraj, Tirupati Urban district SP Sri Prabhakar Rao, Joint collector Sri Vijaya Mohan. The president will inaugurate the Annadanam complex built at a cost of Rs 33 crore and also launch the new Roti making machines with a capacity of 1000 rotis per hour. Later speaking to media persons the EO said the new complex has four big dining halls with a capacity to serve over 4000 pilgrims in a single sitting. "We have also installed the statue of Vakula Mata in the temple kitchen", he added. 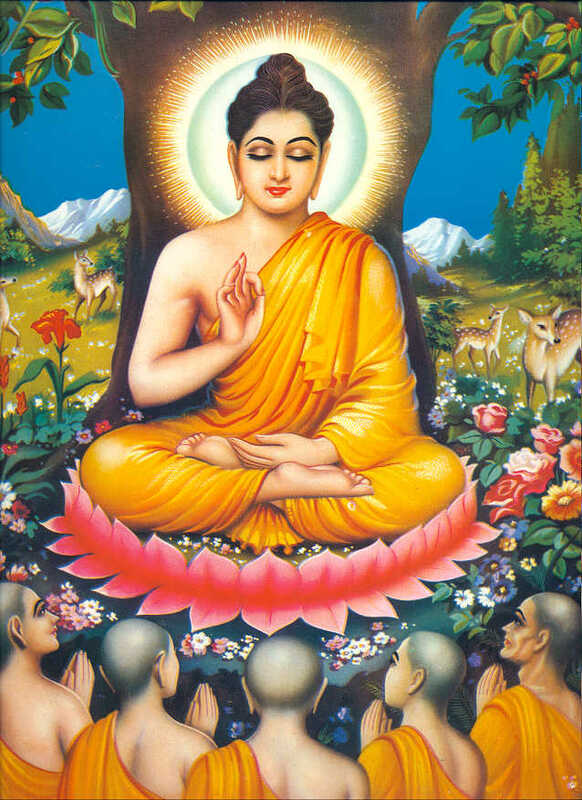 Elaborating further he said, "According to Hindu Dharma, usually before eating food, we recite Annapurneshwari sloka in the new annadanam complex we plan introduce this practice. We will also put up posters and writings on the walls and at vantage points in several languages appealing to devotees to not waste food and also explain the significance of Annadana so that the pilgrims and staff will not waste the food unnecessarily", he added. He said, Matrusri Tarigonda Vengamamba was an ardent devotee of Lord Venkateswara and pioneered the cause of free food serving in the 19th century and stood as fountain head of inspiration to others. "As a tribute to this great devotee and human being, the new annadanam complex has been named after her ", he said. To provide the opportunity to poor, sick and physically challenged persons who can not visit Tirumala. 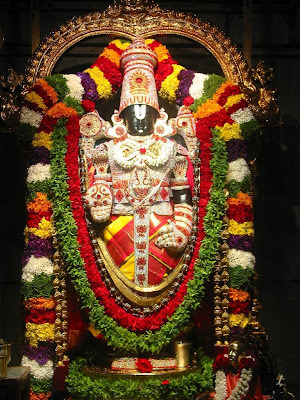 To spread the glory and holiness of darshan of Lord Venkateswara among devotees. As part of its mission to promote Hindu Dharma the TTD has taken up conduction of Govinda Kalyanams for benefit of tribals living in remote tribal and hilly areas. During such ceremonies the TTD also conducted medical camps providing free health checkups, free medicines and consultations to the sick tribals besides providing them devotional literature. So far TTD has conducted Srinivasa Kalyanams in nearly 80 towns and cities of the country including national capital and metros he added. He told a good news for the devotees of Tamil Nadu that The TTD is making all out efforts to launch the Tamil Channel of Sri Venkateswara Bhakti Channel (SVBC) in time in a few months to reach the message of Bhakti and Lord Venkateswara’s message in their local language up to their doorstep. 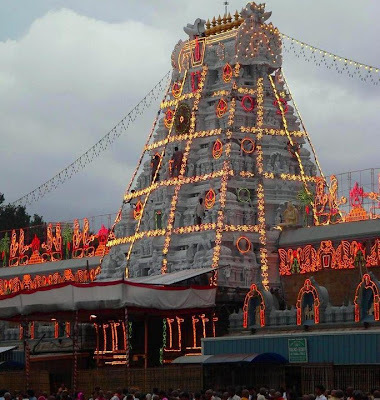 He is confident that the Tamil channel will also get the same level of support and patronage of its sister channel in Telugu (SVBC-Telugu) by all the devotees of Lord Venkateshwara. 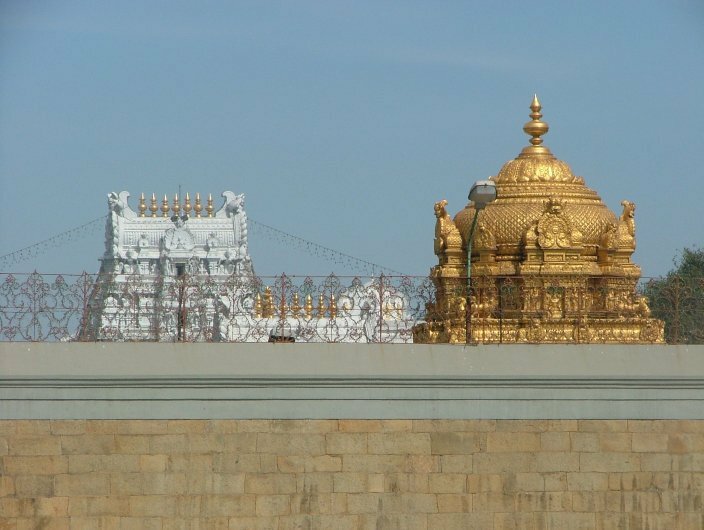 Later the Temple priests of Lord Venkateswara performed the celestial wedding of Lord Perumal with religious fervor. He thanked Sri Ranga Seva Trust, the organizers of the Srinivasa Kalyanam in Tiruchi for making the celestial wedding a grand success. Prof. Kasi Venkat Reddy, Secretary HDPP,Sri E.Ma.Masanamuthu, I.P.S. Commissioner of Police (I.G), Tiruchy and large number of devotees participated. July 30 – Karkidaka Vavu Bali in Kerala. Vaikunta Ekadasi is an important festival dedicated to Lord Vishnu in the Tamil month of Margazhi (December-January). 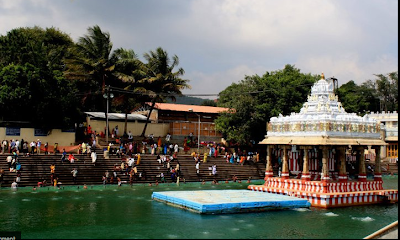 Vaikunda Ekadesi festival is of great significance at the Tirupati Balaji Temple, Srirangam Sri Ranganatha Temple and at the Bhadrachalam Temple. In Kerala, it is known as Swarga Vathil Ekadashi. Next Vaikunta Ekadasi date is December 17, 2010. Devasayani Ekadashi Vrat Katha, or the story associated with Deva Sayni, was first narrated by Lord Brahma to Narada. The story was later told to Yudhishtira by Lord Krishna and is found in the Bhavisyottara Purana. Legend has it that once there lived a pious King named Mandata and he ruled over a highly prosperous kingdom. But the prosperity of the kingdom was once affected by lack of rain for three years. There was widespread famine the kingdom. No farming activity was taking place in the kingdom. There is a popular belief that a kingdom suffers due to the sinful activity of the King. But King Mandata was not able to find what fault he had committed to invite the wrath of Narayana, who is believed to produce the rains. The king decided to go on a journey and he met several holy men and discussed the problem but none of them offered any solutions. Finally, King Mandata met Sage Angira who suggested that the King should not worry about the reason for no rain but should try to find a solution to bring back the rains. 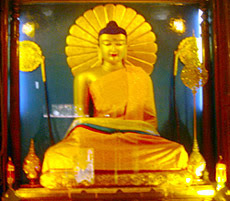 Sage Angira advised King Mandata to observe the Deva Sayani Ekadasi which falls during the Shukla Paksha of Ashada month. It has the power to the remove the sinful reactions. King Mandata went back to the palace and he along with his family members and courtiers observed the Deva Sayani Ekadasi and soon the rains arrived. This also helped in regaining the lost glory of the Kingdom. 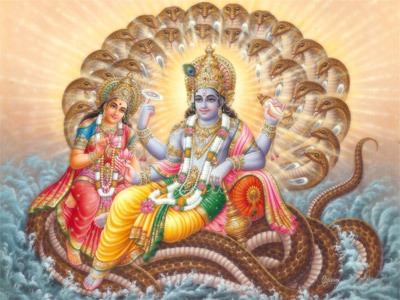 Ekadasi is the name of the Goddess that arose from Lord Vishnu to defeat Demon Mura. Happy with her divine act, Lord Vishnu blessed her that anyone who observes Ekadasi fast will be freed of their sins and will attain Moksha. Ashadhi Ekadasi, or Ashada Devasayani Ekadashi, is observed during the Shukla Paksha (waxing phase of moon) in Ashada Month (June – July). In 2011, the date of Ashadhi Ekadasi is July 11. Pandarpur Yatra culminates on Ashadi Ekadasi and is of great importance in Maharashtra. The day is of a great significance at the Lord Vithal Temple in Pandarpur. The Palaki of Tukaram Maharaj from Dehu, Palki of Sant Jnaneshwar from Alandi and numerous other Palaki (Palanquin) carrying the silver Padukas of various saints arrives at Lord Vithal Temple in Pandarpur on Ashadi Ekadasi after a 21-day journey. Lord Vithal is an incarnation of Lord Krishna and is a popular deity in Marathi culture. The day is also of great importance in several other places. Thousands of devotees also take a holy dip in Godavari River on the day and pay obeisance to Lord Rama at Kala Ram temple. This Ekadasi is popularly known as Devshayani Ekadasi. Devasayani Ekadasi, also known as Sayana Ekadashi, occurs during the shukla paksha (waxing phase of moon) of Ashada month (June – July). In 2011, the date of Devasayani Ekadasi is July 11. Devashayani Ekadasi is also known as Hari Sayan Ekadasi as it is believed that Lord Vishnu goes to sleep after this Ekadasi as it is the night of devas with the beginning of Dakshinayana. Ekadasi Fasting is dedicated to Lord Vishnu and falls on the 11th day of a lunar fortnight in traditional Hindu Calendar. 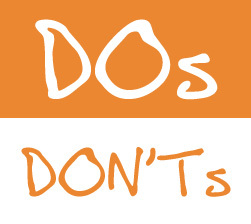 Those who fast on the day do not eat rice or food prepared using rice. All the normal rituals associated with Ekadasi fasting is followed. Devout devotees of Vishnu start the preparation of Chaturmas Vrata from this day. The legend or story associated with Yogini Ekadasi or Yogini Ekadashi Vrat katha is mentioned in the Brahma Vivarta Purana. Yogini Ekadasi, observed on Krishna Paksh of Ashad month in North Indian Hindi calendars, is the most important Ekadashi vrat to get rid of diseases andailments. Significance and importance of Yogini Ekadasi Vrata was narrated by Lord Sri Krishna to Yudhistira (Dharmaraj). Krishna told the story of Hemamali, a Yaksha who was working at Kubera, the King of Alakapuri. Hemamali was very much attracted towards his gorgeous wife, Swarupavati and neglected his daily duties that he was allocated to do for his master Kuber. Hemamali’s daily work was to bring flowers from Manasarovar Lake. His master identified his carelessness towards his duties and asked one of his servants to go to his house and enquire.The servant went to Hemamali’s house and came to Kuber and informed that the reason of his negligence in his duties is his gorgeous wife. Kubera called Hemamali and cursed him to suffer from white leprosy and to separate from his wife. Thus Hemamali suffered from the terrible disease and separated from his wife. When he met Sage Markandeya (Markandeya Maharshi), he suggested him to observe Yogini Ekadasi Vrata. Hemamali observed the fast on Ashadha Krishna Ekadasi and got rid of the dangerous infection and became a handsome Yaksha. He lived his rest of life happily with his wife. VRAT: Yogini Ekadashi is observed on Ekadasi day in Krishna Paksha of Ashada maas in North Indian Hindi calendar. In 2011, yogini Ekadasi date is June 27. It falls in Jyeshta Krishna Paksha Ekadashi as per Marathi, Gujarati, Telugu, and Kannada calendars. It corresponds with Krishna Paksha of Ashada month of North Indian Hindi calendars. On 26 June 2011, Yogini Ekadasi begins at 9.35 am and ends on 27 June 2011 at 11.14 am. Those who observe Yogini Ekadashi will be blessed with good health. Here you can read the legend Yogini Ekadasi vrat katha. The New EO of TTD Sri LV Subramanyam called upon the employees for a team work to take the familiarity of the world's renowned temple to further new heights in future. After taking the charges as new EO of TTD from his predecessor Sri IYR Krishna Rao in Srivari temple, in his introductory meet with various department heads of TTD at Annamaiah Bhavan on Saturday he said, getting an opportunity to work in TTD itself is a divine blessing. "Every employee has to utilise this rare opportunity and should render committed, selfless services to the visiting pilgrims. There are still thousands of families across the globe which are anxiously waiting to get a glimpse of Lord Venkateswara. 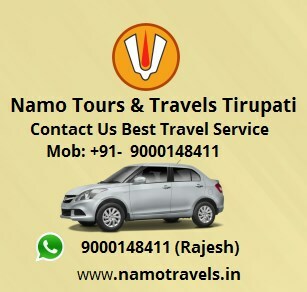 Let us dedicate ourselves in providing better darshan and accommodation services to the pilgrims. Then only our lives will become blessed", he added. 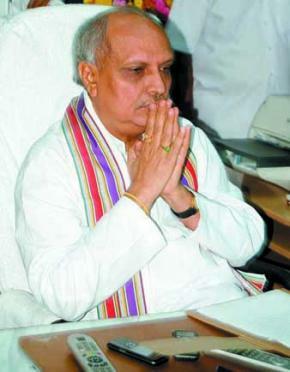 He said he will continue some of the pro-pilgrim projects mulled by his predecessor Sri IYR Krishna Rao and complimented him for taking up various pro-pilgrim programmes during his tenure. Both JEOs of TTD Sri KS Srinivasa Raju(Tirumala), Dr.N.Yuvraj(Tirupati), CVSO Sri MK Singh, special grade deputy EOs, other HODs and officials were present. Earlier in the day, Sri LV Subramanyam tonsured his head in Kalyana Katta as an offering to lord and later visited Varaha Swamy temple. Then he had darshan through Vaikuntham Queue Complex - I. He took over the charges in Ranganayakula Mandapam at 10.15am from his predecessor Sri IYR Krishna Rao even as the veda pundits offered Vedasirvachanam. Later he had an introductory meet with TTD officials and media persons. Later he also took oath as member of TTD Specified Authority. In the evening, the EO paved visit to Padmavathi temple and later went to his chambers in Tirupati administrative building. 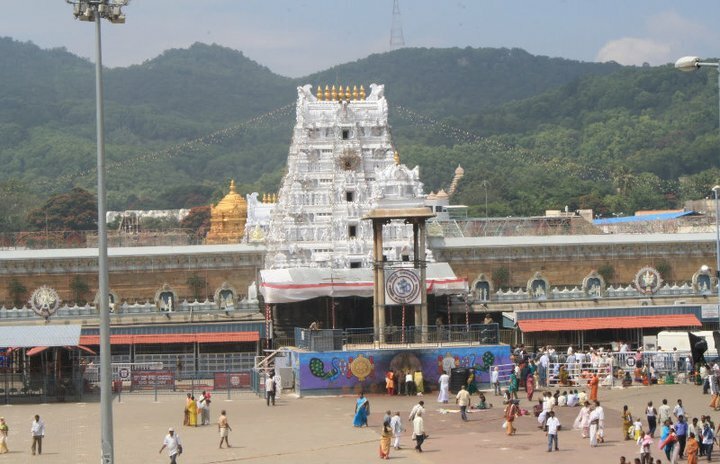 The temple doors of Sri Vari Temple closed by 6pm in Tirumala shirne in connection with lunar eclipse on Wednesday and will be reopened by 4.30am on Thursday. The temple priests will perform purification and other pujas and the common pilgrims will be allowed to sarvadarshan from 8am onwards on Thursday. 15 June 2011 is chandragrahanam due to 15 june evening 5.00 PM to next day Morning 4.30 Am up to Temple Close After Open the temple ,Temple cleaning sudhi Naivedhyam After Darshan Start 7.00 Am . The trial-run of new roti making machine at the upcoming new Annadanam Complex at Tirumala has been inaugurated by TTD EO Sri IYR Krishna Rao on Wednesday. 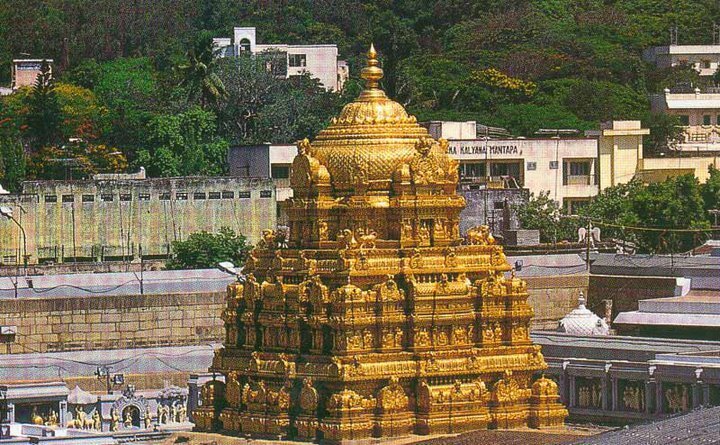 Later briefing the media persons, TTD EO said, "following the suggestion made by a devotee in the Dial Your Programme during last year, TTD has sent a team of its officials to Golden Temple at Amritsar to observe the roti machine. The new machine has been brought from Coimbattore which has the capacity to prepare 2000 rotis per hour. Today the rotis will be served in employees canteen and at Sri Padmavathi Guest House Canteen. But from tomorrow onwards, they will be served to pilgrims in the old annadanam complex along with rice", he added. Here is the list of Chandra Grahan or Lunar Eclipse dates in 2010, 2011, and 2012. This list of Chandra Grahan (2010, 2011, 2012) is given including Rashi or zodiac sign in which Grahan will occur.